XRP is a digital asset that exists on its own, decentralized, among a large number of nodes that validate transactions. It can exist without the assistance of Ripple (the company), and many organizations and individuals have developed applications and tools based on its features, such as escrow and its built-in distributed exchange. In 2012, the creators of XRP gifted a large portion of their holdings to the company, so that it could assist with the adoption of the digital asset by banks and other financial institutions. This company would later become the Silicon Valley trend-setter that we know as Ripple. Years ago, Stephen Covey wrote about principle-centered leadership, and how it was important for the culture of companies to be molded and guided by leaders who exhibit these traits themselves. When we look at how Ripple has responded to competitors who have lobbed inaccurate claims against it or its solutions, we see a coordinated approach by Ripple in response, to answer with correct information and rational discourse. One recent example of this is Ryan Zagone's testimony before Parliament in the UK. Beside him was a man that introduced himself accurately as representing a "competitor" to Ripple, who then spent much of his own time avoiding the topic of the panel and instead focusing on criticizing Ripple and its solution(s). He went from one topic to another, and Ryan Zagone calmly addressed each point in turn without escalating the conflict. "Though he had the most to say out of all four panelists, with regulators even asking him to be brief amidst collective laughter at one point, Walker neglected to mention in the 53 minute session that throughout 2016 he worked as Product Developer for R3, arguably creating a conflict of interest." This behavior, while disappointing, is something that Ripple has had to deal with on a consistent basis. It's something that sets its own struggle to build the Internet of Value (IOV) apart from other legendary Silicon Valley players such as Google. Google never had to worry about fan clubs for competing search engines spreading false information. Amazon didn't have to worry about representatives from Ebay pretending that they were impartial fellow panelists in front of Parliament. But this is what Ripple is facing. And they are responding ethically, serenely pointing out the facts about their solutions, about XRP, and about the history of their company. "The revolution of blockchain is not going to happen outside of the financial system, it will happen from within." It may seem like they are on the defensive at the moment, but when a company centers itself on a solid foundation of integrity, it solidifies its perception as a market leader. Banks, financial institutions, and remittance companies want to do business with a reputable organization, and Ripple has seized the high ground in almost every high-profile media interaction. This approach will win the day, and I predict that XRP adoption will be supercharged by Ripple's efforts; they are building the pie bigger for everybody with ILP and with non-profit efforts such as Mojaloop; the world is taking notice. The maxim in crypto markets is that "no publicity is bad publicity," referring to Bitcoin's rise in value - and market cap - despite all of the high-profile criticisms that have been documented about the "first" cryptocurrency. In the case of XRP and Ripple, there are now multiple news articles on a daily basis. It seems that news outlets, conferences, and other high-profile mass media organizations can't stop talking about the most exciting new Silicon Valley fintech. The news coverage included topics under the category of 'litigation' which is not something we've heard much about regarding Ripple, despite other high-profile Silicon valley companies having to deal with lawsuits. 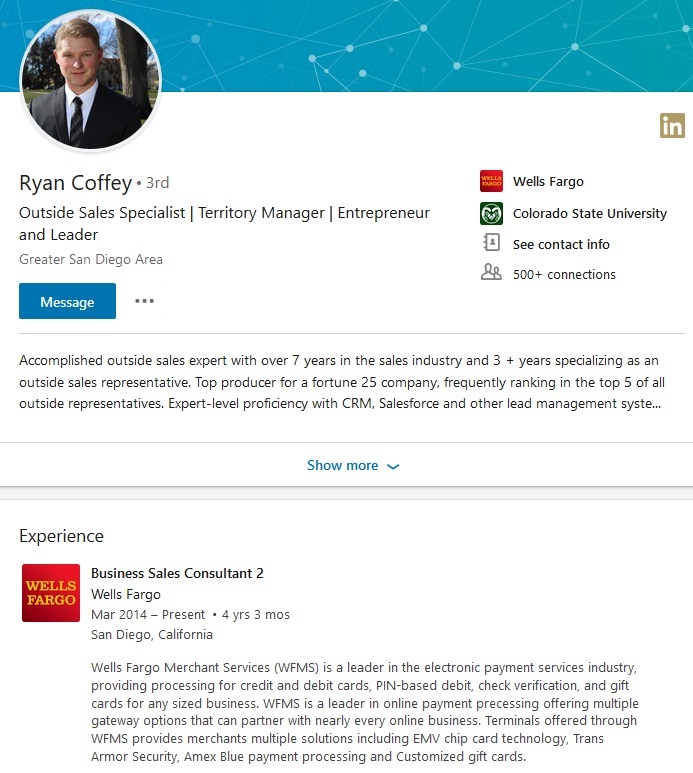 Don't be upset when you hear about Ripple being involved in a legal dispute. 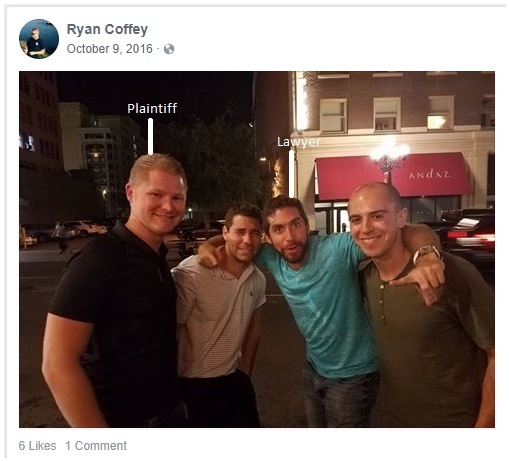 Every Silicon Valley start-up has had to deal with lawsuits - some valid claims as well as frivolous. How many lawsuits have been filed against Apple? 2 Roughly twenty-one high-profile cases, and countless nuisance suits. Amazon,3 Facebook,4 Snapchat,5 and others have all had to dedicate resources to address litigation; it's a fact of doing business in the United States. My own guess is that this suit has nothing to do with Wells Fargo, but everything to do with a simple "shakedown" of an up-and-coming Silicon Valley company. I'm a casual fan of the television show "Better Call Saul," which features a classic shakedown lawyer and his tactics; unfortunately this lawsuit reminds me of that television show. The other litigation-based news item has to do with the SEC's upcoming opinion on whether or not Ether or XRP should be considered a security. The SEC is looking closely at both Ethereum and XRP due to the centralized holdings of material amounts of the cryptocurrency. In the case of Ethereum, it is looking closely at the Ethereum Foundation, and in the case of XRP it is looking closely at Ripple. While most of the legal experts in the crypto space have indicated that neither should be regarded as a security, the XRP community is awaiting an explicit ruling by the SEC. However, no confirmation of this news story has yet been provided by any non-WSJ source, and no announcement was made by the SEC. The story may have contained material inaccuracies; the community is seeking clarification from the Wall Street Journal, or else independent confirmation of the data points. The AIM Summit took place in Abu Dhabi during the week of May 4rth. In a video from the summit, Navin Gupta participated in an interview-style discussion for almost a half-hour, touching on a variety of blockchain technology topics including a high-level description of Ripple's value proposition, Interledger, XRP, Ripple's five-year business plan, how ILP eliminates settlement risk, the role of governments, sourcing liquidity, the management of personal information, and various other topics. At around 5:00 he discusses the high-level plan for how developing countries or organizations can use Mojaloop, which was an exciting detour from some of the other topics. At his wrap-up, Navin Gupta uses the example of "whatsapp" to help people understand how Ripple connects banks in a peer-to-peer fashion prior to settlement. He then wraps up by emphasizing how Ripple technology helps payments be more transparent. The questions after the interview focused on XRP, and more than one question was asked by XRP network competitors. Question: "How does your technology differ from the forthcoming SWIFT GPI?" Answer (Navin Gupta): "A light bulb was not invented by improvising on candles"
Mic drop? No, Navin Gupta is too much of a gentleman for that, but his metaphor was a powerful example of the communication skills that the market has come to expect from Ripple company representatives. Another presentation by Navin Gupta was at the World Blockchain Forum in Dubai from early April. If there is an organization that can actually help us with all the three elements - transmission, settlement, and reconciliation, and that too in an effective manner: We've found that Ripple could do that... all three things." My own personal background in consulting has taught me the importance of customer recommendations built on prior or current engagements, and I can tell you that this was one of the most ringing and genuine endorsements from a customer I've ever heard. From May 8 - 10, Dilip Rao, Ripple's Global Head of Infrastructure Innovation, will be visiting Bahrain to participate at a large forum known as the Gateway Gulf. It's an investor forum where the topic is going to include Distributed Ledger Technology (DLT), and central banking & financial market infrastructure. Dilip has been a consistent and well-spoken advocate for change in banking infrastructure using Ripple technology and ILP, so it will be interesting to hear about this interaction. "Keep an eye on Ripple. They’re getting the right partnerships and growing very quickly." This is something that each of us in the XRP community have already discovered, and it's good to see that momentum is continuing within the media space as well. What does this mean from a business standpoint? "xVia enables payment originators and corporates to access the power of RippleNet, with a single, standardized API that provides a frictionless experience to communicate with your banking partners. xVia's simple API requires no software installation and enables users to seamlessly send payments globally with transparency into the payment status and with rich information, like invoices, attached." Keep in mind that APIs let any individual or organization connect to RippleNet without installation of any specialized software - a powerful deployment approach for Ripple's technology. The XRP network has recently benefitted from increasing amounts of volume; yes, there was a rally in the crypto space generally, and XRP benefitted from the increasing amounts of investor interest. But it seems that new investors are finding their way to the one choice that promises to be in the 'magic quadrant' for crypto; XRP possesses low(er) risk & and high(er) reward than all other crypto choices. Now, however, traders can directly take a cash position, opening up new trading possibilities (and its associated demand) for XRP. The new pairing is second only to the XRP/BTC pairing, clocking in at over $17 million dollars' worth of trading. This is proof positive of what the XRP community has been surmising for quite a while now; that BTC and ETH volumes have been substantially benefiting from their USDT pairings. Now we should see a similar benefit to XRP volume. A new Indian-based exchange, CoinDCX, is planning on listing XRP in India. "CoinDCX is listing Ripple (XRP)! Deposits start tomorrow i.e. 8th May at 7 PM." Note that CoinDCX doesn't support direct INR pairings, but XRP's expanding footprint into yet another international exchange is always welcome news. The XRP Community has a well-known culture that centers itself on dispelling misinformation, and about creating opportunities for all crypto market participants. We are oriented around facts and the dissemination of impartial, truthful information about very complex topics, and our team members have a history of being able to intuitively communicate through social media. 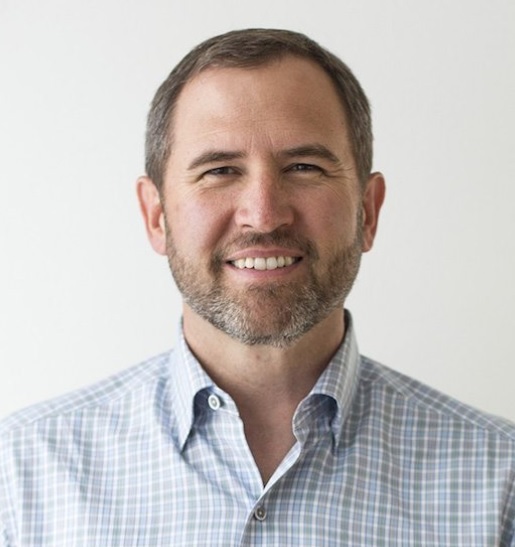 In addition, Ripple, the company who owns a substantial amount of XRP, also acts in a socially-responsible manner, dedicating part of its resources to helping the under-banked through an alliance with the Bill and Melinda Gates Foundation, and through direct donations of its XRP to charities such as Rippleworks and DonorsChoose. Even outside the umbrella of charitable causes, Ripple has taken steps to champion the entire crypto space and open up new markets. Ripple has made very public statements that crypto should work with regulators, not try to circumvent them. The company has consistently acted with the best interests of widening liquidity and growing the entire cyrpto space for all crypto networks, not just XRP. This core characteristic of integrity is important to retain, no matter what challenges await XRP, Ripple, or the XRP community of developers and owners. XRP will overcome all challenges, and will rise on a solid ethical foundation demonstrated by its proponents.